NEW PUPPIES!!! WE FINALLY HAVE NEW PUPPIES!!! 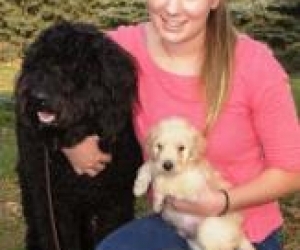 GOLDENDOODLES WELCOME TO OUR SITE! PLEASE CHECK OUT MY FACEBOOK PAGE FOR MORE UPDATES! These wonderful puppies come in just about every color from blacks to sables and of course the more traditional colors of cream and red. We also have quite a selection of sizes from the mini petites (under 25 pounds expected) to the normal minis (24-45 pounds) Versatile and low to no shed, beautiful and healthy! 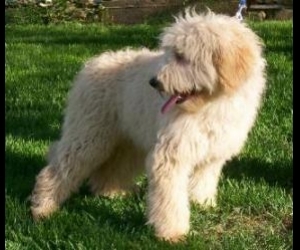 They are the perfect travel size and still have all of the traits of the larger, standard goldendoodles. Our mini puppies can vary in size from 15-45 pounds depending on the litter and each specific puppy. Our mini puppies are $1800-$2000. All of these puppies come from the best parents that are health tested, genetically sound with the sweetest and best personalities. All of the puppies are raised in homes by either my family or our guardian home families. 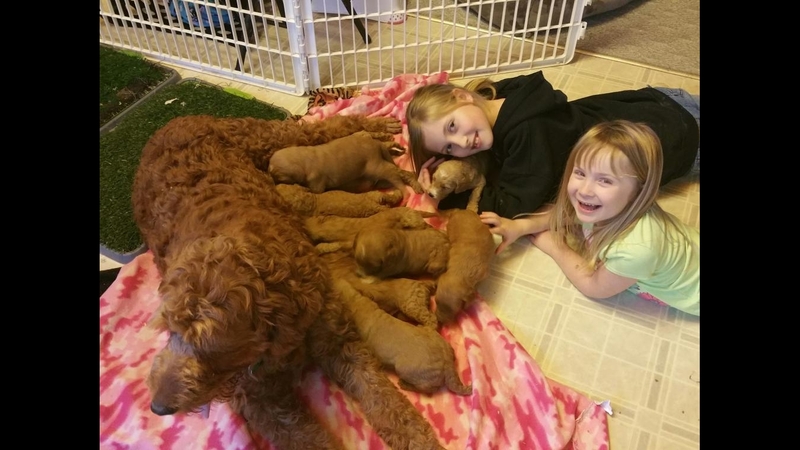 The absolute success of our puppies start with early socialization and handling. And having 3 girls who prefer puppies over dolls many of these babies get dressed up from time to time and snuggled a lot! LOL We do occassionally have opportunities for new guardian home families to become apart of our program, so let me know if you are interested and live in the area! Our guardian program is like an extension to my family!!! THE PUPPY YOU SEE ON HERE TODAY MIGHT NOT STILL BE AVAILABLE TOMORROW!
" PENNY X HUNTER PUPS, ONE YEAR APART IN AGE. 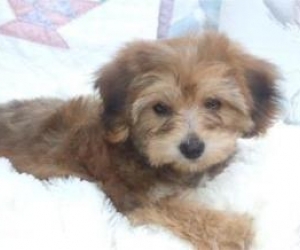 BEAUTIFUL PICTURE TAKEN OCTOBER 2012 "
" These pics are of our Morkie, "Tater" as in tater tot. He is so funny and makes me laugh every day. He has such a wonderful personality, he is a better fetcher than our golden retreiver was and he loves to cuddle. We bought Tater at the end of June....loves the snow...he jumps like a rabbit in it. He is very spoiled, but we don't care. We just love him! " " SUNNY IS SUCH A WONDERFUL DOG. WE JUST LOVER HER, THANK YOU! " 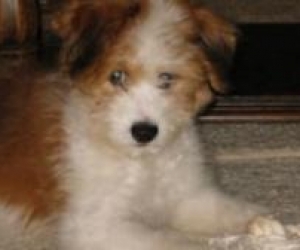 " Pippi is an Aussiedoodle Pippi is great fun. She is full of personality. She is gorgeous and just a wonderful addition! " " Greetings, Stephanie. I am sending you an update on the border collie/golden retriever dog I purchased from you. His name is Willow and he is 45 pounds at 7 months. He is a great joy and is like his mama, Savannah. He loves to sleep on top of you but will not give up when playing fetch. 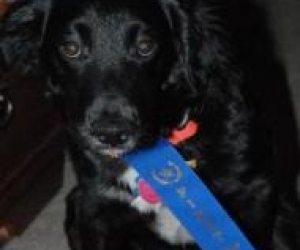 Here is a picture I took when he took first place at beginner puppy training. I am taking the next level up with training and know that Willow will respond well. I am also sending a photo when he was younger and felt the need to sleep in my basket in the kitchen vs his kennel. 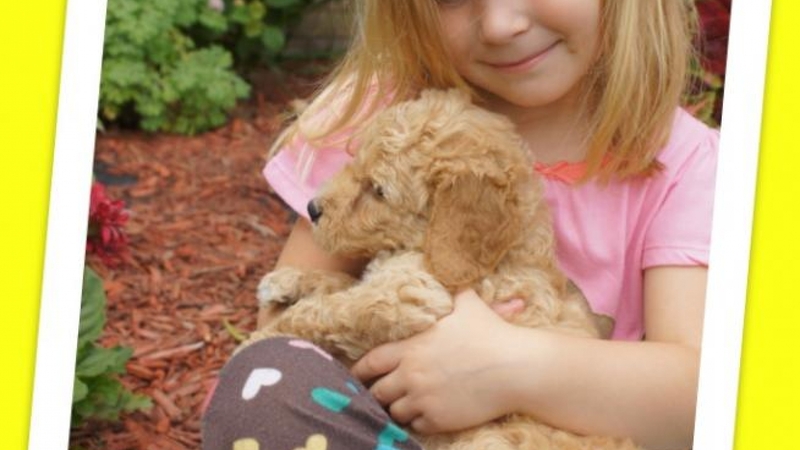 Enjoy the photos because I sure enjoy my dog:) "
" Stephanie, We enjoyed the process of picking out our Goldendoodle. We had not owned a dog in 25 years, and wanted to make a good choice. You were very helpful and answered a lot of our questions in a very caring manner. 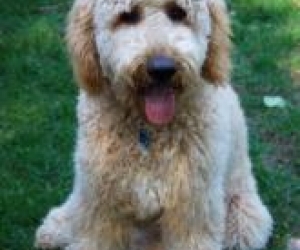 We could not be happier with our Goldendoodle. Otis is a very beautiful and very good puppy. He has been a joy to have. I would use you again if we ever decided to get another! " 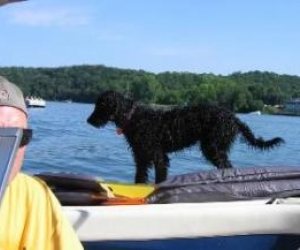 " Roxi, Goldendoodle owned by the Rosenblad family "
Direct: (507) 696-2848 *My phone doesn't always work so leave a message. Please call us for questions or to reserve your new family member today!